Dublin City Gallery, The Hugh Lane Gallery of Modern Art. Apart from modern-contemporary works of art, it also houses a complete reproduction of the studio of Francis Bacon. 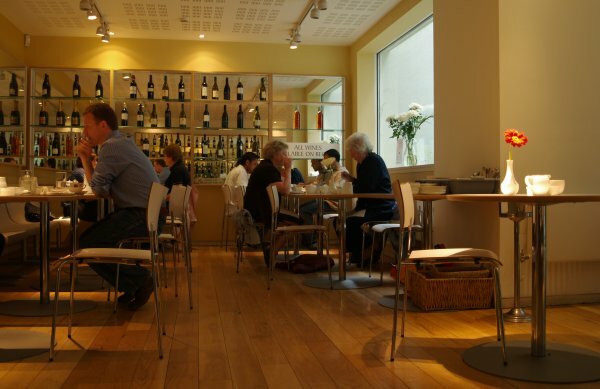 The very nice and stylish cafe in the Hugh Lane Gallery. A bit of a contrast to the 'reproduced' studio of Francis Bacon. 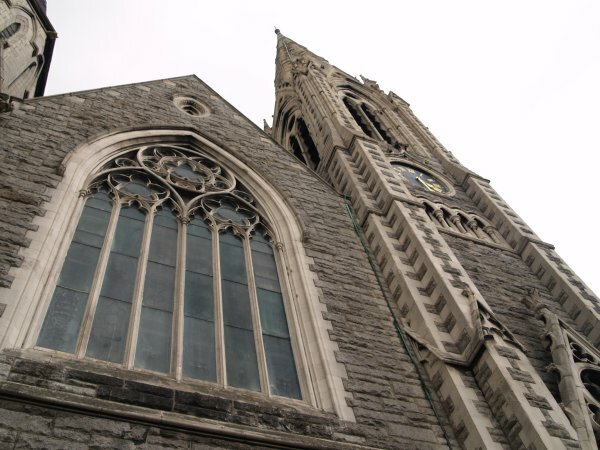 The Presbyterian Abbey Church on the corner of Parnell Square North and Parnell Square East. The Rotunda Hospital and Gate Theatre. 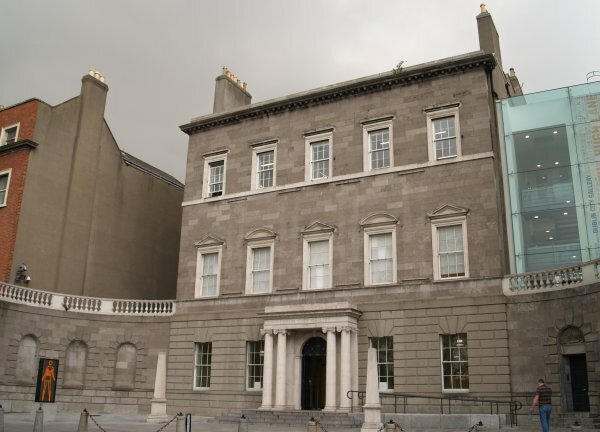 The Rotunda Hospital of 1757 was the first maternity hospital in Britain or Ireland and was at one time the largest in the world. The magnificently carved 'rotunda' is on the left (now the Ambassador Cinema), and the Gate Theatre building on the right was built in 1874 as an extension to the hospital. The Gate Theatre Company was founded in 1928 by Michael MacLiammoir and Hilton Edwards.